Barbara wrote the following for a heritage site I was trying to get going. Unfortunately wasn’t getting interest, so I shuttered it. The post is still useful and insightful though! 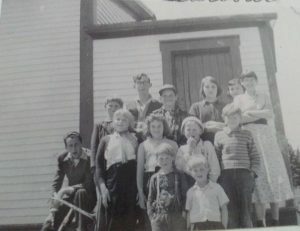 Back in the “really” old days, when dad (Hay Smith) was school age, the school in Aspen Brook had a full time teacher, but then for a number of years there were no, or not enough children to warrant one and the school was completely closed. 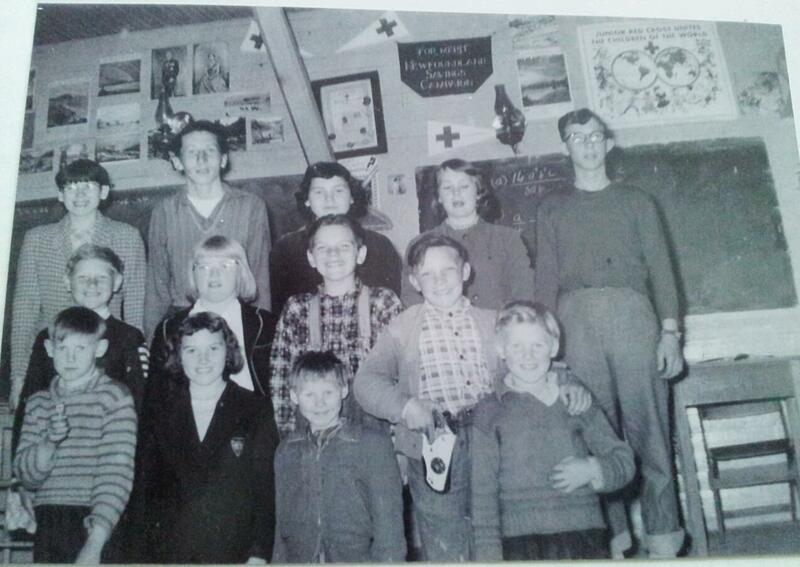 When I reached school age, mom (Cecelia Smith) and others started advocating for a teacher to get the school opened. However, because the number of children was too few, the Department of Education said it did not warrant a teacher. I was home schooled from kindergarten (if there was kindergarten then) until grade 2 (before official home schooling was even known in our area). I had a desk (borrowed from the old school) in the kitchen and each morning there was a specific time period when I had to do my work. 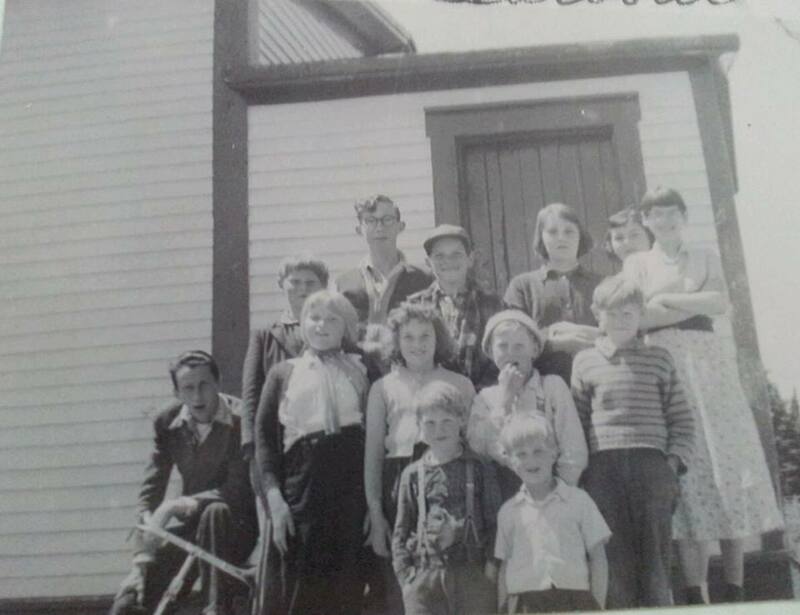 Aunt Rose (Bowring, nee Adey) who was teaching grade two in Corner Brook at the time, would send mom the curriculum and materials her school was using, I would complete all the work and tests and mom would send the tests back to her for grading. By the time I reached grade three we were given funding for a half time teacher for the community. For grades 3-5 I attended the school in Aspen Brook for half the year and then went to Snook’s Harbour for the second half. Throughout all this time Snook’s Harbour school was open all year round as I recall. The building has been gone for many years now, but was located next door to the church and in front of the cemetery. One room of course and like all public buildings then, only one door (so much for fire escapes). As in all the communities, it was the centre for education and “times” and all community functions. I do have some vivid memories of Snook’s Harbour School: the teacher had a table at the front as the desk and one particular teacher would get so mad he’d overturn the desk in his anger, on a regular basis!! But playing baseball on the field out by the water at recess and after lunch was always fun. I’d walk to Aunt Vic’s for lunch and occasionally if the weather was bad would stay there overnight. For my grades 6, 7 and 8 we had a full time teacher in Aspen Brook and then for high school (9-11) I went to board in Clarenville, going up Monday morning with whoever was going up to work, sometimes getting to come home overnight on Wednesday night, but always getting home on Friday.